The Third Squad reports the arrests of two men for a Burglary that occurred in Westbury on Friday, January 10, 2014 at 4:00 am. Westbury, NY - January 24th, 2014 - The Third Squad reports the arrests of two men for a Burglary that occurred in Westbury on Friday, January 10, 2014 at 4:00 am. According to detectives, a 64 year old female victim noticed a rear basement door and window had been opened at her Roxbury Road residence. Missing from the kitchen was her pocketbook, two I phones, I pad, and car keys. It was further noticed that her 2007 Acura was also missing from the driveway. Detectives later were able to locate the victims vehicle and I phone to the address 740 Franklin Street which is where the defendant Demorris Baity, 18, resides. Defendant Baity was placed into police custody without further incident. The female victim advised detectives that her Bank of America card had also been used without her knowledge. A subsequent investigation revealed that Rockey White, 19, of 235 Brook Street, New Cassel along with Demorris Baity did purchase merchandise from a 711 Store located at 635 Powells Lane. On January 23, 2014 defendant Rockey White did surrender himself at the Third Precinct where he was placed into custody by Third Precinct Police Officers without incident. Demorris Baity is charged with Burglary 2nd Degree and Criminal Possession of Stolen Property 3rd Degree. He was arraigned on Saturday January 11, 2014 in First District Court in Hempstead. Rockey White is charged with Burglary 2nd Degree, Criminal Possession of Stolen Property 4th Degree, and Identity Theft 3rd Degree. He was arraigned on Friday, January 24, 2014 at First District Court in Hempstead. 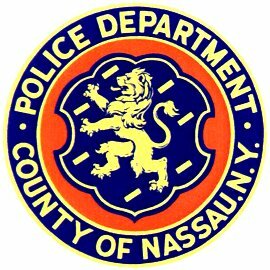 Subject: LongIsland.com - Your Name sent you Article details of "NCPD: Two Teens Arrested for Westbury Burglary"